Every year, roughly 10,000 people fail to make the transition to upper-secondary education in Finland, reports the Central Organisation of Finnish Trade Unions (SAK). The Central Organisation of Finnish Trade Unions (SAK) is prepared to increase the duration of compulsory education in an attempt to prevent the marginalisation of young adults. Mikko Koskinen, the head of education affairs at SAK, points out that annually roughly 10,000 young people fail to make the transition to upper-secondary education and that fewer than one-half of the 620,000 people without post-primary qualifications were employed in 2014. “Most lowly-educated people also have insufficient literacy, numeracy and digital skills. 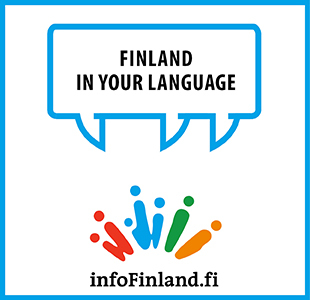 The EU has already recognised that insufficient basic skills lead to marginalisation, but Finland is lagging behind dangerously in this respect,” he says in a press release. “The lowly-educated struggle to find employment. About half-a-million jobs that do not require a degree have disappeared over the past thirty years,” adds Koskinen. Paula Risikko (NCP), the Minister of the Interior, has rightly identified marginalisation as a key internal security threat, he acknowledges. “However, these 600,000 adults need education immediately,” says Koskinen. SAK proposes that the problem be addressed by removing obstacles to education for both the employed and the unemployed and by establishing open vocational institutions that operate similarly to open universities. It is also prepared to adopt a so-called basic skills guarantee to reach out to the hundreds of thousands of adults who struggle to read, calculate and use digital devices. The Government could at best exceed its employment target by investing in increasing the vocational education opportunities of adults, according to calculations made by SAK. “If the employment rate was at the same level for those with only a primary school degree than it is for those with an upper-secondary degree, the employment rate would be above 72 per cent. 146,000 people more than today would be in employment,” highlights Koskinen.